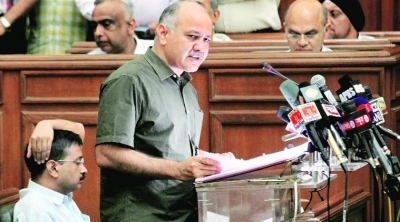 The Aam Aadmi Party-led Delhi government today tabled its second Budget with Deputy Chief Minister Manish Sisodia slashing the Value Added Tax (VAT) rate from 12.5 per cent to 5 per cent. Delhi budget is the budget of the year for our country. All Politic parties should take a note of this instead off looting Indians and keeping the poor and make their life miserable.